Bolivia is a unique country situated in the heart of the South America. Although some may say it is not yet ready for tourists, some others may see this as an exciting opportunity to an enriching and eye-opening experience, amazing discoveries, adventure and top photography opportunities. I had a chance to visit Bolivia in November 2015 and this amazing country surprised me in many aspects. 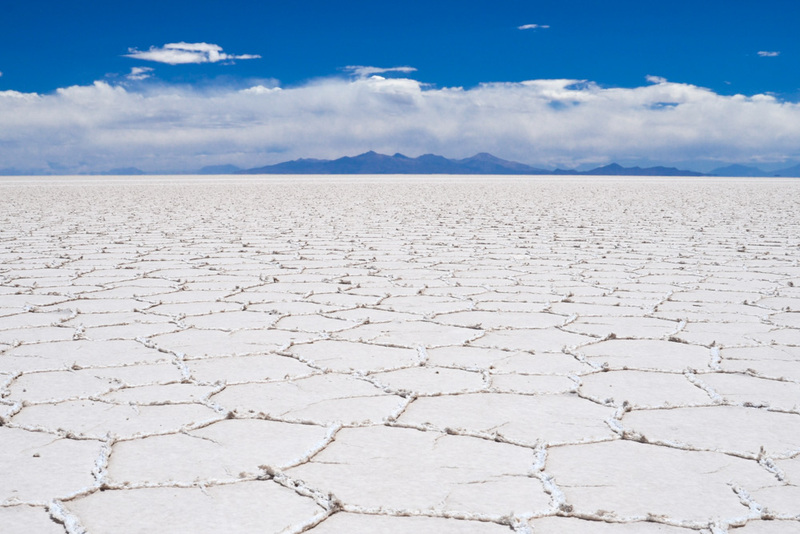 If you are still hesitating whether this place should be on your travel radar or not, here I put together 6 amazing reasons why you should visit Bolivia even if you have never think about it before! Enjoy reading it! Bolivia is one of the most bio-diverse countries in the world where one can see breathtaking landscapes, untouched places, and amazing wildlife. In the Northern part, you will find the jungle full of wild animals, peaks of Cordillera Real covered with snow, the Titicaca Lake and the moon valley Valle de la Luna. 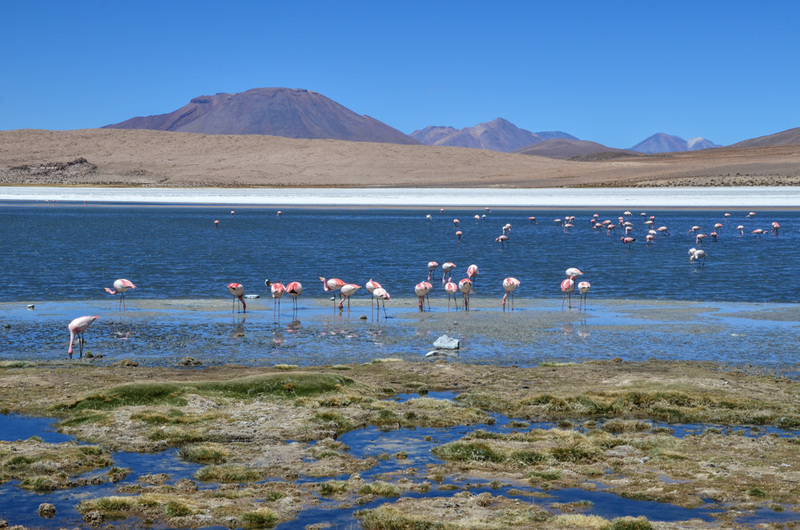 If you continue to the South, you arrive at the stunning salt flats Salar de Uyuni being one of the best places in the world to take optical illusion pictures, surrealist Salvador Dali’s desert with giant stones, volcanos and colorful laguna with flamingoes in Sud-Lípez. All those places and much more will take your breath away and allow you to take amazing pictures as well! I mean really high (and not talking about drugs)! Bolivia is a country of large altitude differences and a huge part of the country is situated at a high elevation. You will probably land at El Alto, which is the highest international airport in the world, from where you may discover the highest capital in the world La Paz or the highest navigable lake in the world Titicaca. And of course, one of the main points of interest for many people coming to Bolivia, the highest salt flats in the world Salar de Uyuni. 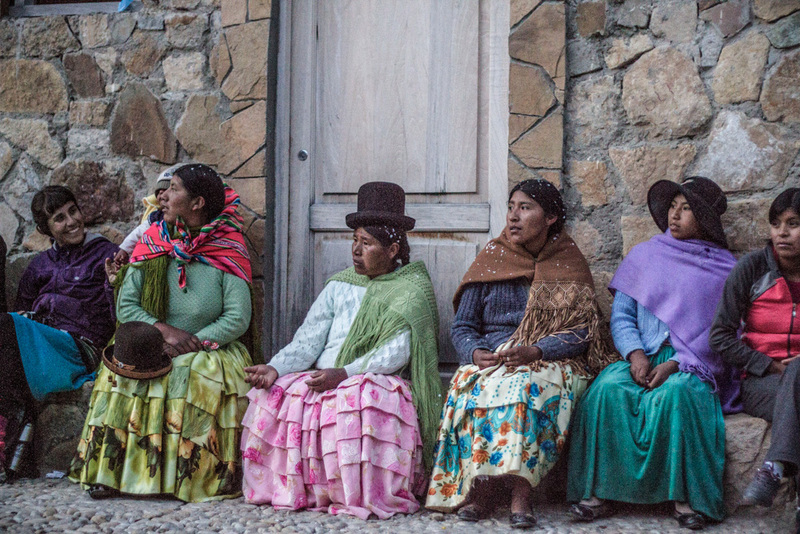 The majority of the Bolivian population counts for Indigenous people of mainly Quechuas and Aymaras. But there are also over 30 other Indigenous cultures who speak their own languages and practice their own traditions and rituals since centuries. Women wear a time-honored dress such as the typical pollera skirt and bowler hat. 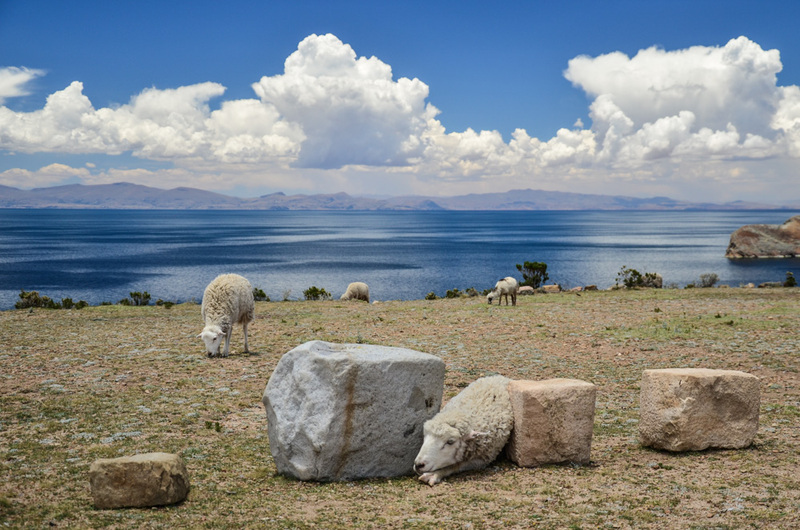 Probably the most interesting tradition in Bolivia is to bury a mummified llama embryo under the foundation of every new house as it is believed that it brings good luck. Women still produce wool from llama and sheep and they master their handmade clothes which you can buy very cheap on many places you pass by. They also sell homemade food in the streets – you should definitely try the typical salteňas (similar to empanadas). Bolivian wine is very good too. During the year, some amazing colorful festivals are celebrated – such as the most famous one in Oruro festival. From Tiwanaku and Aymara cultures, through one century of the Inca Empire between the 15th and 16th century that was destroyed during the Spanish colonization, to later civil wars that lead to a declaration of independence in 1825, followed by wars with other South American countries – Bolivia has lived some turbulent periods that has formed the country to where it is now. You can still see some ruins throughout the country and other historically important landmarks in colonial cities such as for example Sucre. The white city (as it is called), was founded in the 16th century by the Spanish and is nowadays one of the most beautiful cities in the South America. Bolivia is a paradise for adventure lovers as it offers many adventurous trips such as biking downhill the North Yungas road that is also known as the Dead Road, discovering the rainforest in Coroico, chasing the Anaconda in the pampas, or 2 or 3-days‘ tour to the largest salt flats in the world and the National parks in the South. 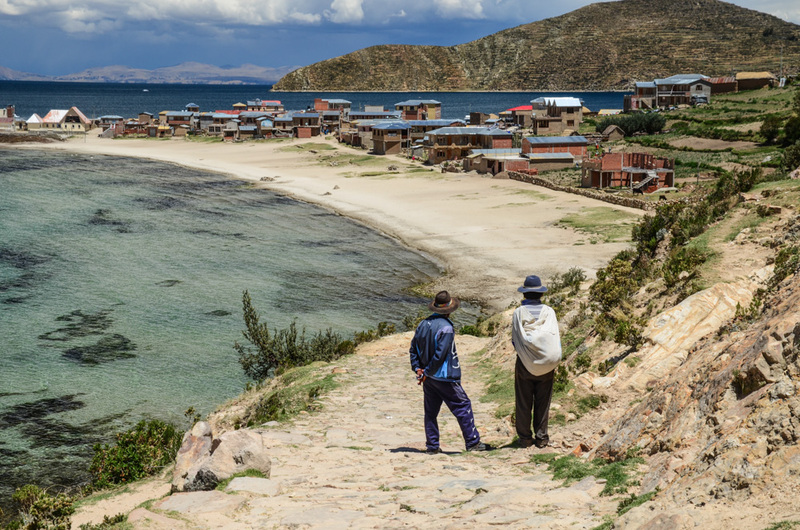 For the lovers of hiking, trips to Isla del Sol on the Titicaca lake, the highest navigable lake in the world, or treks in the Cordillera Real are a perfect option! 6. Visiting Bolivia is cheap! 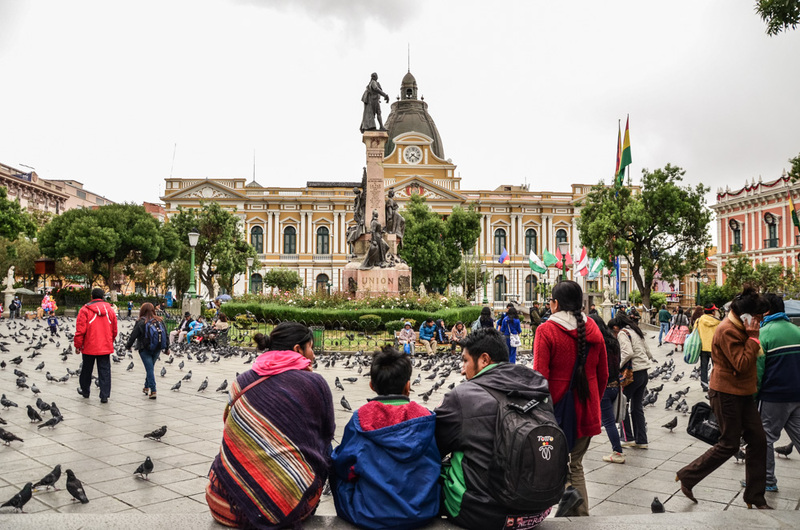 Bolivia is one of the poorest countries in the South America and so traveling, housing, and eating is a very cheap in Bolivia. Of course the level of services is lower than in other South American countries, but if you are not really looking for comfort while travelling, your Bolivian experience is budget friendly: for example, you can do a three days´ trip (food and basic accommodation included) to salt flats and Sud Lipez for less than 100 euros! Also, if you want to buy some handmade pullovers, they are pretty cheap although, for the locals, the purchase of such an item is usually an investment that may serve generations. 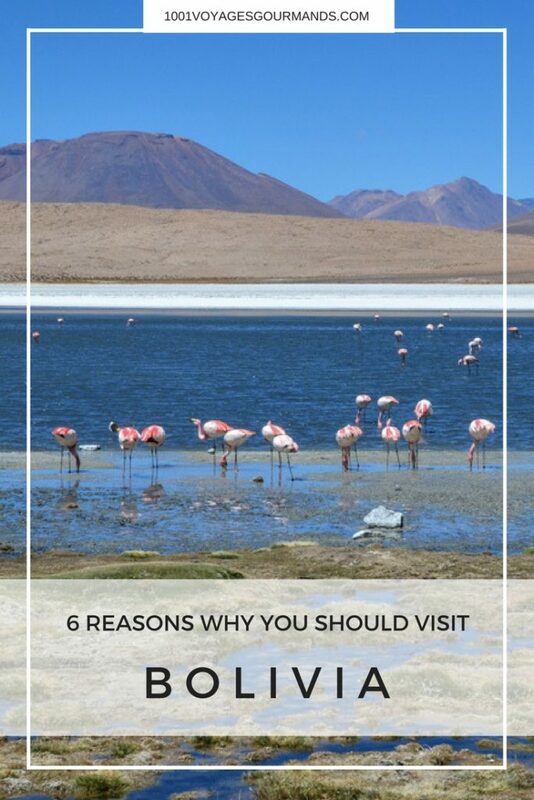 So this is it for my 6 reasons why you should visit Bolivia. For those of you who went to Bolivia, would you add something else? 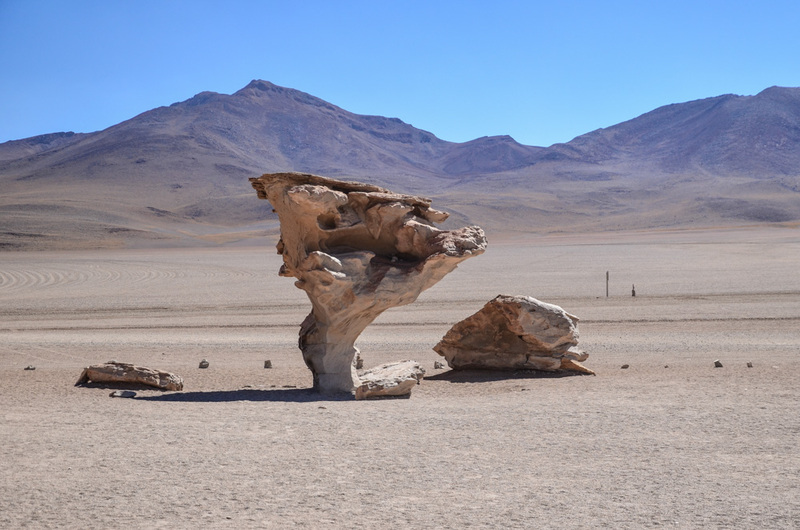 And those who did not: Did I convince you about visiting Bolivia? 🙂 In which other countries of the South America have you been and what makes you think is the main reason to visit it? Let me know in the comments below! If you liked this post, please share it on social media or pin it for later! Awesome post!! Makes me want to visit! I’d love to go to Bolivia! I’ve been to Paraguay, Argentina, Uruguay and Brazil and loved them! Glad you liked it! 🙂 Me too and the wild side of this country is pretty fascinating. I have never been to South America but it is definitely on my bucket list. Such an amazing landscapes and colorful places. I love these endless dry salt lakes! Reading this has made me miss Bolivia so much! What an amazing country and your photos are beautiful!